Mr. Dwayne Hunn, Executive Director Peoples Lobby, Inc. I am writing to express my support for the American World Service Corps (AWSC) Congressional Proposals initiated by citizens and the People‘s Lobby, Inc. I believe that in this increasingly complex world, we need new resources to face the challenges of tomorrow. To address those challenges adequately, we need to engage and involve more Americans in domestic as well as international concerns. Doing so not only improves the world; it also increases our understanding of the complexities facing us at home and abroad. The AWSC Congressional Proposals provide an opportunity for Americans to learn about and address the growing number of problems. 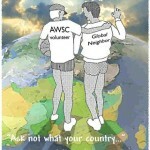 AWSC involves Americans in building ourcapacity to seek solutions through service and peaceful means. By having one million Americans each year voluntarily work in effective governmental and non-governmental organizations, the program provides Americans with the capacity and insights to produce significant improvements in each state, our nation, and the world. These opportunities can inspire more California Conservation Corps members to work on many basic infrastructure needs in our parks and on our levees. We need more Head Start teachers and assistants, and more AmeriCorps volunteers to work on environmental needs. 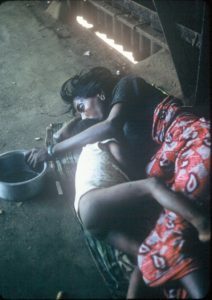 Peace Corps members can contribute value services to developing nations and build good will internationally. Volunteers with the Red Cross and International Rescue Committee can assist in emergencies around the globe. Volunteers participating in the AWSC benefit by gaining a deeper understanding of communities other than their own. They are also rewarded with other incentives including funds for education, down-payments on homes, medical savings and IRA account deposits. People’s Lobby, Inc. reflect a level of civic involvement that allows Americans to help create laws that benefit all of us. For these reasons, I strongly encourage citizens and our Congress to add the AWSC Congressional Proposals to our nation’s toolbox. “…Today, Americans are increasingly aware that the political process needs more citizen involvement to offset the lopsided power of special interests. Efforts such as those by the People’s Lobby, Inc. reflect a level of civic involvement that allows Americans to help create laws that benefit all of us.